Paul Manafort found guilty of eight charges of bank and tax fraud. Mistrial declared on the remaining 10 counts. Former Trump campaign chairman Paul Manafort was found guilty in a Virginia courtroom on Tuesday of eight charges of bank and tax fraud, The Hill reported. The jury found Manafort guilty on five charges of filing false income tax returns, one count of failing to report foreign bank accounts and two counts of bank fraud. Judge T.S. Ellis III declared a mistrial on the remaining 10 counts — three counts of failing to report foreign bank accounts, five counts of bank fraud conspiracy and two counts of bank fraud – after the jury could not come to a decision on those. Manafort pleaded not guilty to all charges. He was ordered to jail in June after a judge revoked his bail. The one guilty count of failing to report foreign bank accounts carries a maximum of five years in prison and each count of bank fraud carries a maximum sentence of 30 years. The decision is a victory for special counsel Robert Mueller's team of prosecutors, though Russia and the 2016 election which they are probing were not major parts of the trial against Manafort. 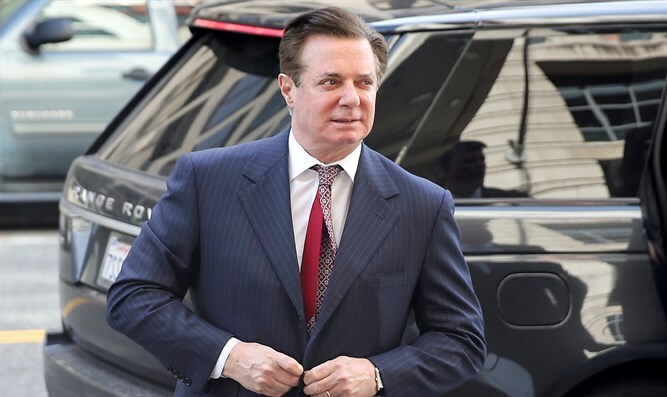 The verdict follows 2 1/2 weeks of testimony in which the prosecution called 27 witnesses and submitted 388 documents into evidence in an effort to prove beyond a reasonable doubt that Manafort orchestrated schemes to avoid paying taxes on income he earned working as a political consultant in Ukraine and defrauded banks to obtain loans when the money dried up. Manafort faces a second trial in the U.S. District Court for the District of Columbia in September on separate charges that include conspiracy, money laundering and making false and misleading as a foreign lobbyist in violation of the Foreign Agents Registration Act. He surrendered himself to FBI agents last October after being charged with 12 counts, including conspiracy against the U.S. The indictment also included his former business associate, Richard Gates. News of Manafort’s verdict came as Trump’s former personal lawyer, Michael Cohen, pleaded guilty to charges of bank fraud, tax fraud and campaign finance law violations. He also pleaded guilty to one count of making an excessive campaign contribution on October 27, 2016, which is the same date Cohen finalized a payment to adult-film star Stormy Daniels as part of a non-disclosure agreement over an alleged affair with Trump. While he did not specifically name Trump, Cohen said in the plea deal that "in coordination and at the direction of a candidate for federal office" he kept information that would have been harmful to the candidate and the campaign from becoming public. The judge set a sentencing date for Cohen for December 12.